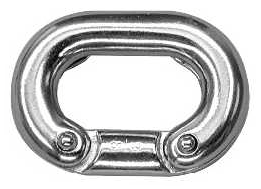 Stainless steel quick links are used in corrosive environments for connecting two pieces of chain together or any other items that need to be attached. Quick Links are designed to quickly attach chain together, but have many other applications. Similar to Quick Links, they can be used for joining two pieces of chain together or to connect a chain to a component. Design allows for easy on/off. They are excellent for use with clevis pins in heavy duty construction and are reusable. 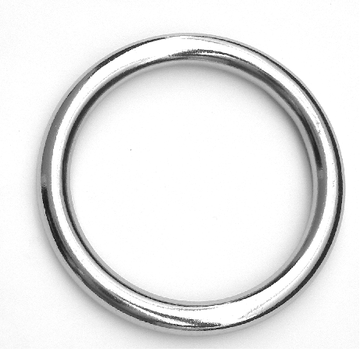 Stainless steel rings are used in corrosive environments usually connected to an item so other items can be attached, such as handles, synthetic rope, hooks and more. A clevis pin is a fastener that will allow rotation of the connected parts about the axis of the pin. A clevis pin consists of a head, shank and hole. The hole passes through the shank at the opposite end of the pin from the head. A cotter pin is inserted through the hole to keep the clevis pin in place after assembly of the parts to be fastened. 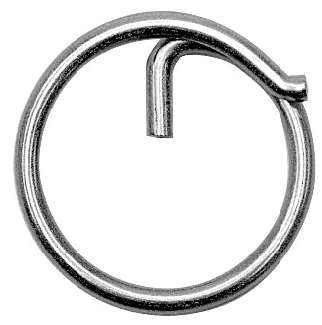 Commonly the clevis pin is used with a shackle. 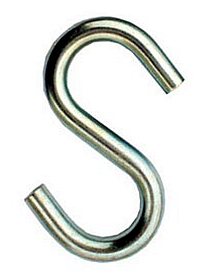 A straight shackle looks like the letter C, with holes at each end; when you insert the clevis pin you create a D with the clevis able to rotate about the axis of the pin. A twist shackle provides a loop at a right angle to the axis of rotation. Clevis pin are used instead of bolts as bolts are not intended to take the lateral stress that a clevis pin must handle. The heads of clevis pins sold into the marine environment or for other types of rigging are typically larger and safer to use. Older implements, intended to be pulled by a team of draft animals, require a twist shackle to be hitched. 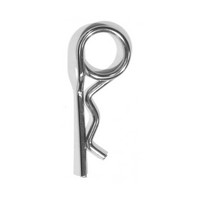 A clevis pin is often used to prevent two other pieces from moving relative to each other. A clevis pin is less adjustable, in that it can hold the two parts in exactly one relative position (because holes must be drilled in both parts). A clevis pin is also more secure, as it is less apt to come loose due to vibration. 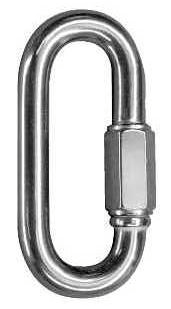 Typical uses of clevis pins include fastening turnbuckles in rigging. 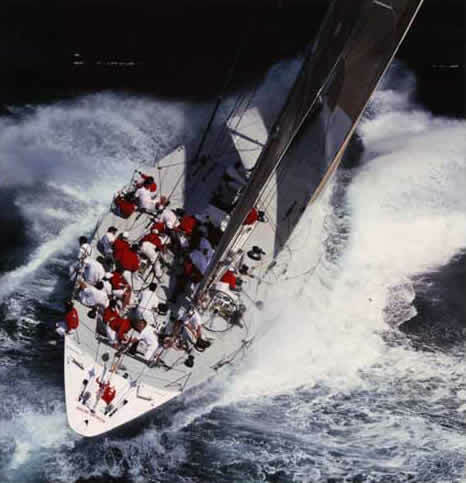 Clevis pins are used extensively in sailboat rigging. The drop nose pin has spring loaded mechanism that positively locks the pin in either the open or closed position. The head features an annular groove for attachment of a retaining wire if required. Cotter pins (also known as cotter keys or a split pins) are a metal fastener with two tines that are bent during installation, similar to a staple or rivet. Typically made of wire with a half-circular cross section, cotter pins come in multiple sizes and types. A cotter pin has its flat inner surfaces touching for most of its length so that it appears to be a split cylinder. Once inserted, the two ends of the pin are bent apart, locking it in place. In order to facilitate the initial separation of the tines, one tine of the cotter pin is often noticeably longer than the other; and in order to ease insertion into a hole, the longer tine is often slightly curved or beveled to overlap the tip of the shorter tine. Cotter pins are frequently used to secure other fasteners, such as clevis pins. Cotter pins are typically made of soft metal, making them easy to install and remove, but also making it inadvisable to use them to resist strong shear forces. It is advisable to always replace the cotter pin rather than to reuse it. Spring-type cotter pins, sometimes known as R-pins from their shape, are also available, which are not designed to be permanently bent. In this design, only one section of the pin passes through the shaft to be secured, the other section being curved to wrap around the outside of the shaft. This type of pin is usually made of round wire of a harder metal (stainless steel) than is appropriate for traditional cotter pins.